Hey y'all! I hope you had a great Easter weekend! Every weekend, we are on the hunt for fun. 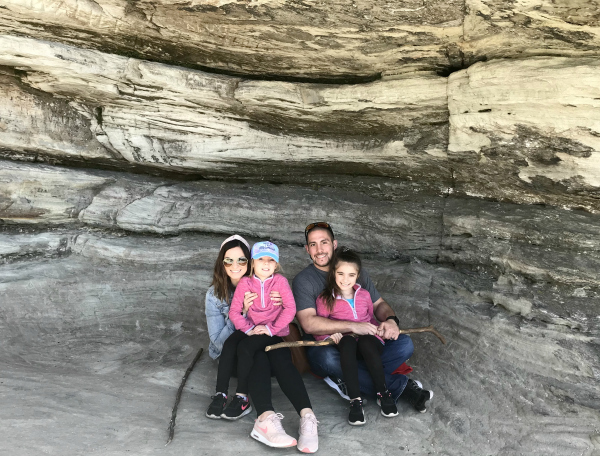 We love spending time together as a family, especially when we are able to see and do new things! My husband and I love finding places to take our kids where they can play and discover plus we can enjoy it too. 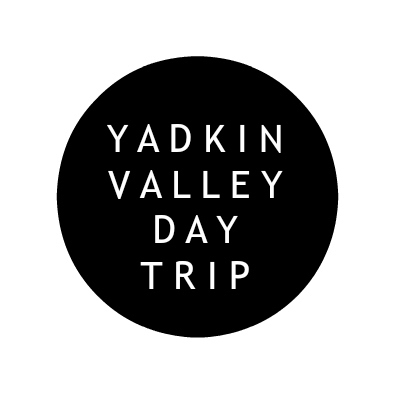 Our day trip to the Yadkin Valley area in North Carolina was the perfect family outing for us! 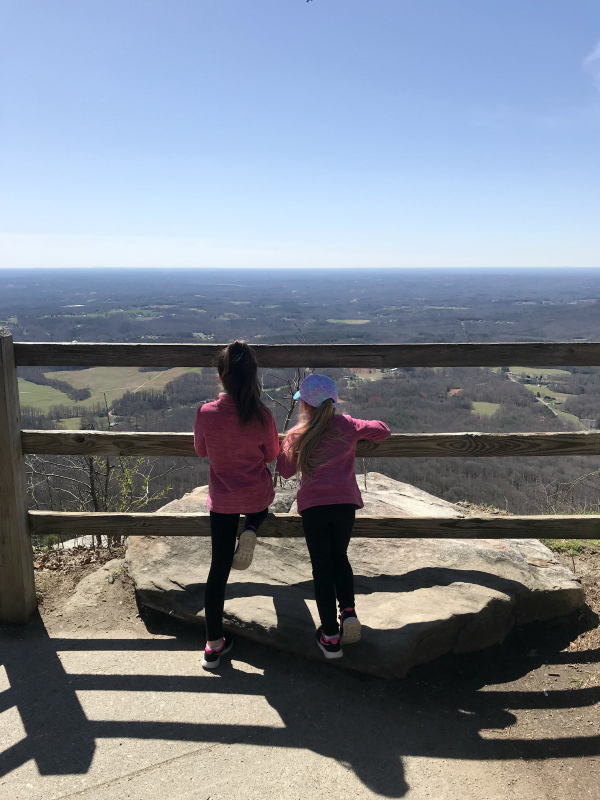 Our first stop of the day was Pilot Mountain for some family friendly hiking and amazing views! 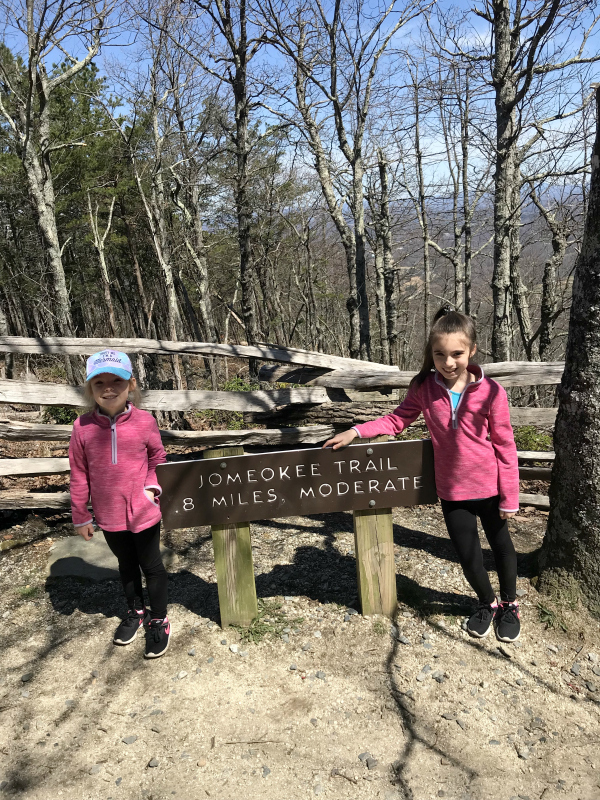 We did the Jomeokee Trail hike, which was less than a mile long. 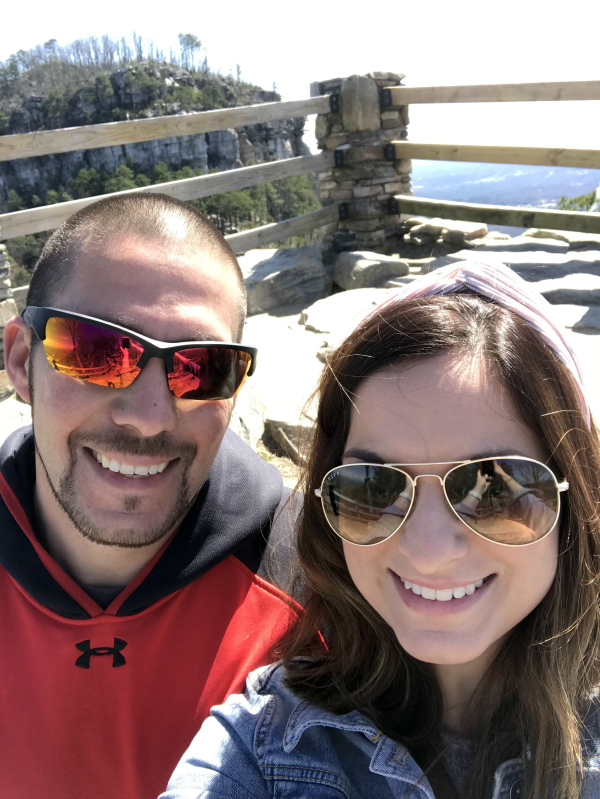 It goes around the pinnacle of Pilot Mountain and the view from up there is so pretty! 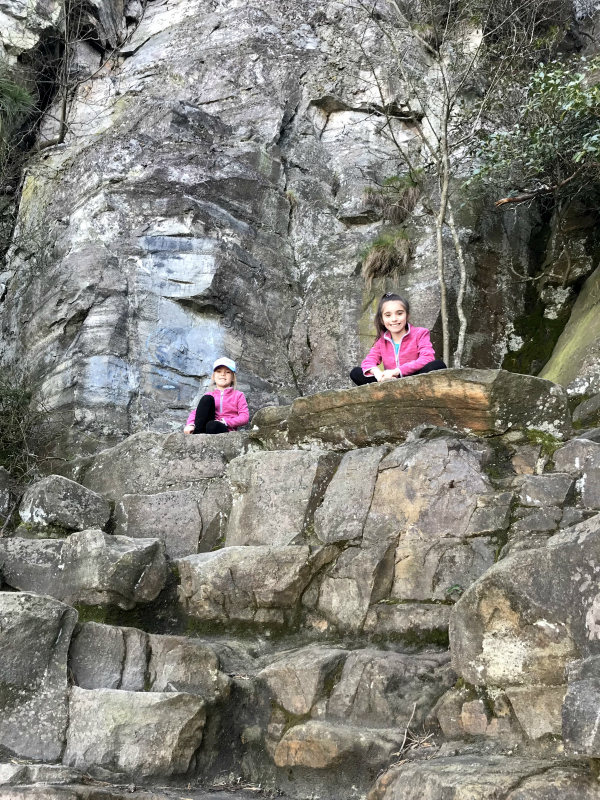 This is a great hike if you are going with kids because it's not too strenuous or too long. 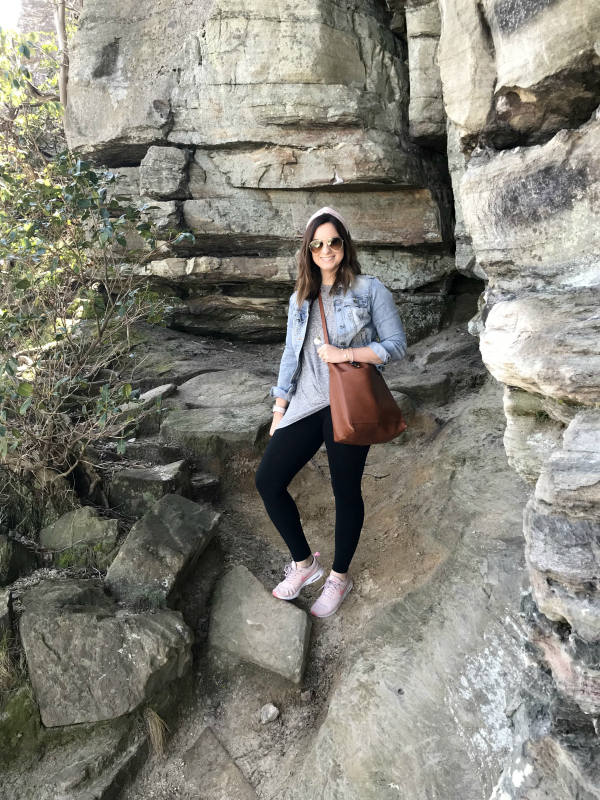 We spent about an hour and a half at Pilot Mountain, which was the perfect amount of time to see the sights and complete our hike. If you don't have kids, they are lots of other trails there that are longer as well. This is such a gorgeous state park! 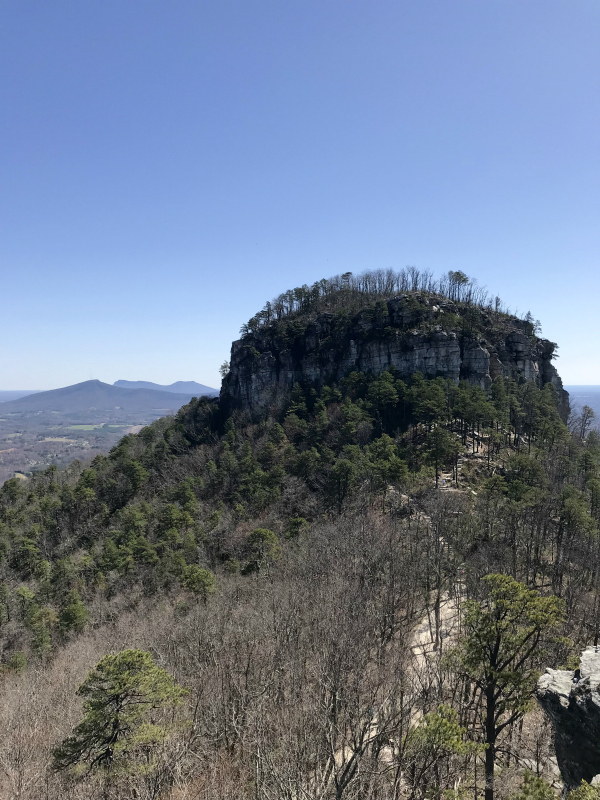 Between Pilot Mountain and our next destination, there weren't many places to eat. Just a few fast food restaurants and some small local places. 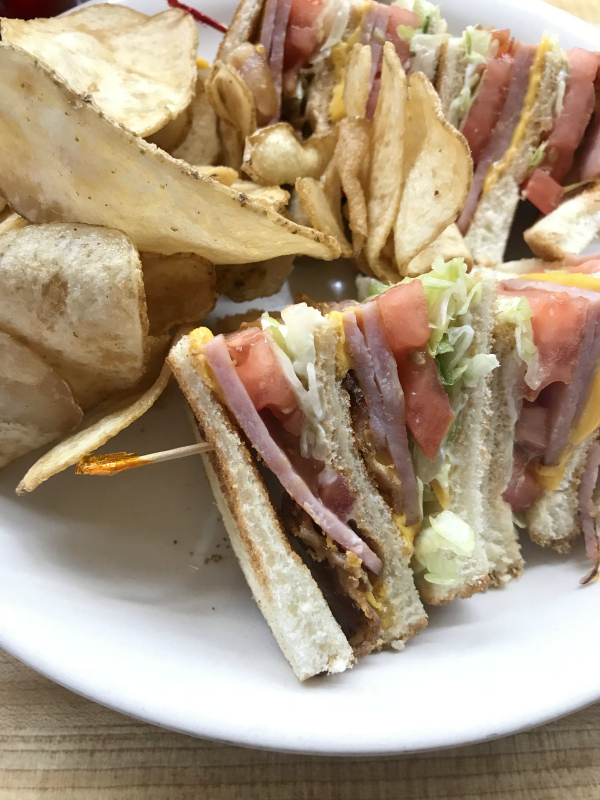 We decided to be adventurous and stopped at a local favorite, Old Richmond Grill. This place isn't anything fancy but the staff was super friendly and the food was delicious. Packing a picnic lunch is also a great idea for this day trip because there's lots of places to eat picnic style at the state park and at the vineyard we visited. Our next stop has been on my list for awhile! 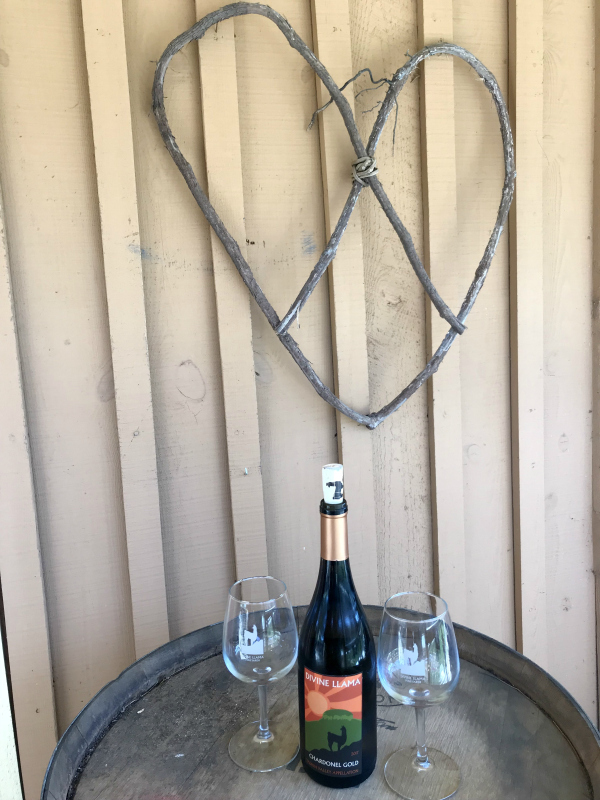 My best friend shared this fun vineyard with me and I have been wanting to go here for awhile. 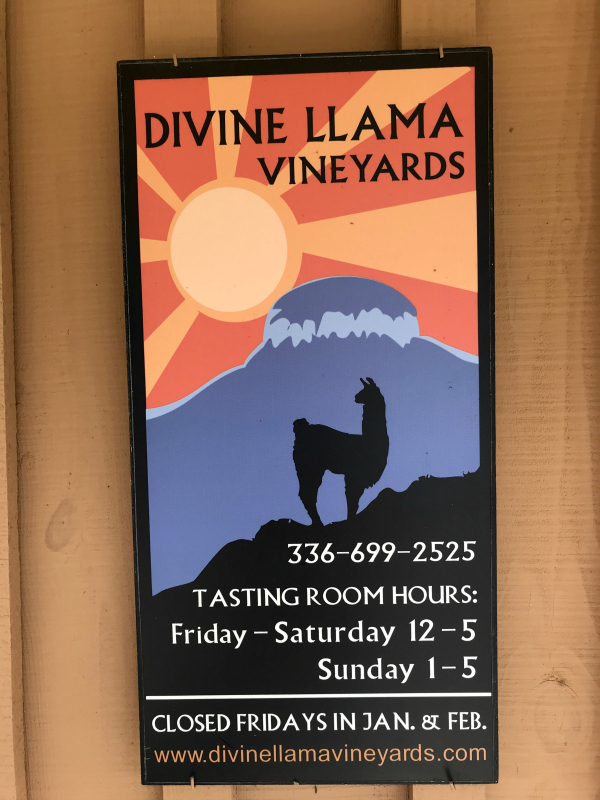 Divine Llama Vineyards is a vineyard and a llama farm in one! 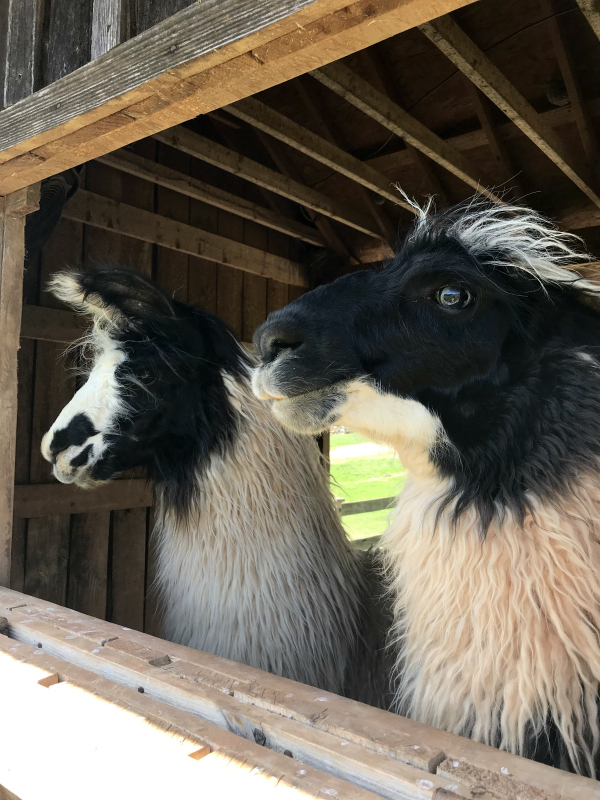 We did the wine tasting and then toured the farm to see all of the animals. 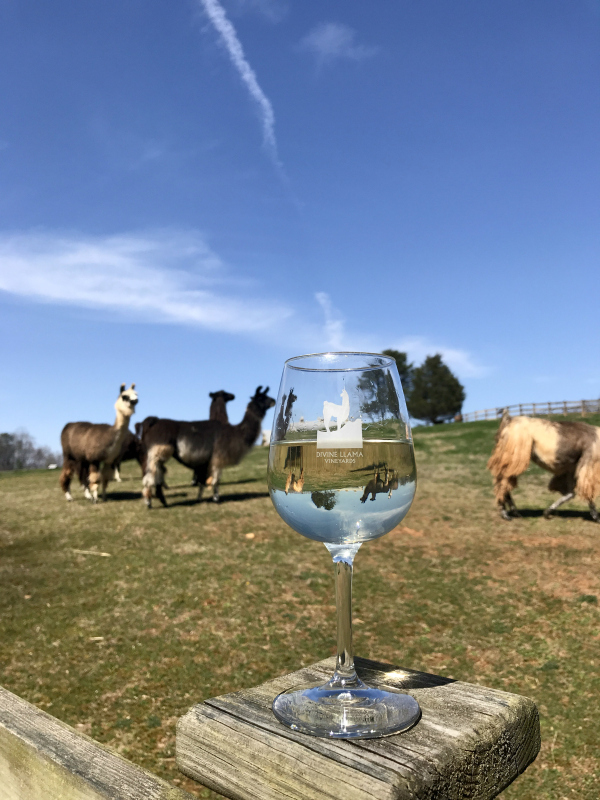 The kids loved seeing the entertaining llamas and we got to enjoy our wine as we walked around. 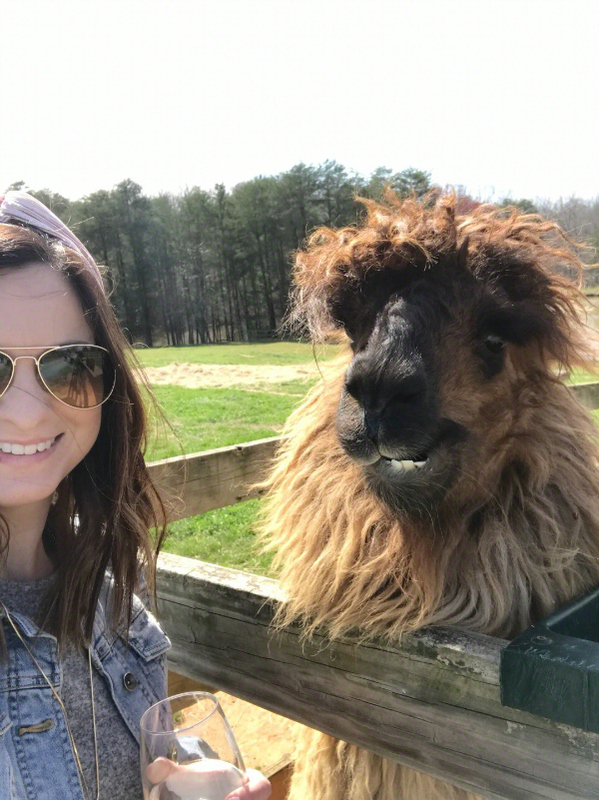 I was even able to get a selfie with the cutest llama! It was a win-win situation! This was such a fun experience and I would highly recommend it. We will definitely be going back!